Stranger: Where are your parents from? Stranger: Where are you REALLY from? 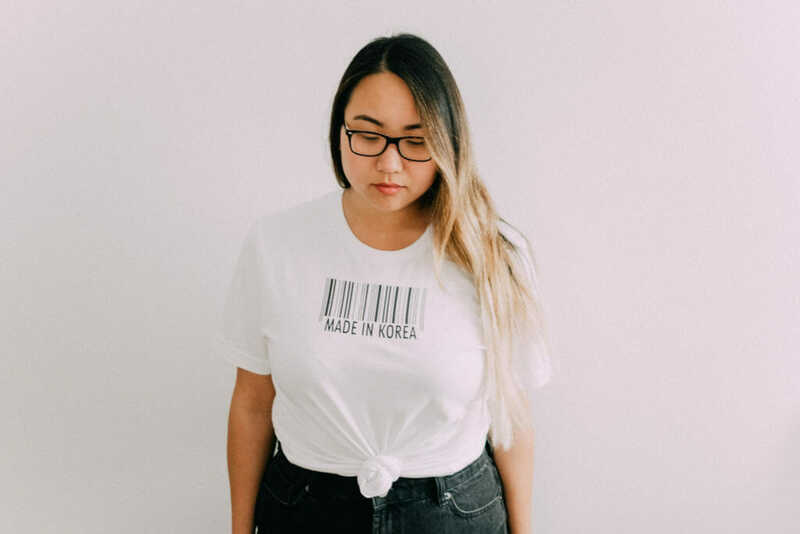 This is the reality of my experience as a Korean adoptee. For other Asian Americans, there are variations on a theme – all of which serve one purpose: to highlight otherness. The line of questioning described above might seem harmless, albeit annoying, but it is rooted in racism. The Perpetual Foreigner stereotype is pervasive and destructive. It implies that by virtue of having physical features that look Asian, we are forever labeled as outsiders whose belonging, loyalty, and citizenship are in question. Some of the first Asian immigrants came to America from China during the California Gold Rush in the year 1848. The influx of immigrants did not go unnoticed by the Californians, and they soon established a discriminatory Foreign Miner’s tax. A decade later, the Central Pacific Railroad Company was in need of labor to build the transcontinental railroad and their choice was the Chinese who they figured would be ideal as they had built the Great Wall of China. During this time, anti-Chinese sentiments came to a climax. Following the completion of the railroad, the Chinese Exclusion Act was passed. This law prohibited Chinese immigration to the United States. Those aforementioned Chinese individuals who had been in the country prior to the law were not much more fortunate than their comrades back home. They were left in the United States, without the hope of citizenship, to face severe discrimination that jeopardized their well-being and even sometimes their life. Originally the Chinese Exclusion Act was meant to last for only ten years, but it was renewed and expanded to exclude all other Asian countries as well. The act remained in place until 1943 when it was repealed by the Magnuson Act, but only for immigrants from China who had become an ally of the U.S. against Japan during World War II. World War II brought about a new target for anti-Asian attitudes. When Japan bombed Pearl Harbor, the Japanese Americans living in the United States became just as hated by Americans as those back in Japan. The phrases “Yellow Peril”and “Yellow Terror,” which originated during the time of the early Chinese immigrants, refer to the portrayal of Asians as evil and formidable enemies of the Western world. These phrases gained new meaning during World War II. The concept of Yellow Peril was personified and perpetuated by the media in characters such as the villain Fu Manchu or other anti-Japanese war propaganda. The United States government’s solution to this wartime Yellow Peril was the internment of Japanese American citizens. The 1980’s saw a renewed “Yellow Terror” as Japanese automobile companies discovered success in the United States which coincided with job losses in American car companies. One monumental incident as a result of this conflict was the murder of Vincent Chin on June 19, 1982. Vincent Chin, twenty seven years old, was born and raised in America and of Chinese descent. At his bachelor party in a Detroit bar, a fight ensued when a White man by the name of Michael Nitz began making racist remarks towards Chin when he mistook him for Japanese and it was because of the Japanese automobile makers that lost his job at Chrysler. After the two were kicked out of the bar, the fight continued in the parking lot and escalated when Nitz and his step-father Ronald Ebens began beating Chin with a baseball bat that they had retrieved from their car. May is Asian Pacific American Heritage Month. It wasn’t until college that I first learned about Vincent Chin or the Chinese Exclusion Act, which was signed into law 136 years ago yesterday. Our stories have been omitted from American school books and lessons; our contributions overshadowed by racially-charged fear. Harmful stereotypes and imagery continue to surface even in 21st century media. Immigration is still seen as a threat to Americanness. But… all of this is a very long-winded answer to an insult disguised as a question: Where are you REALLY from?